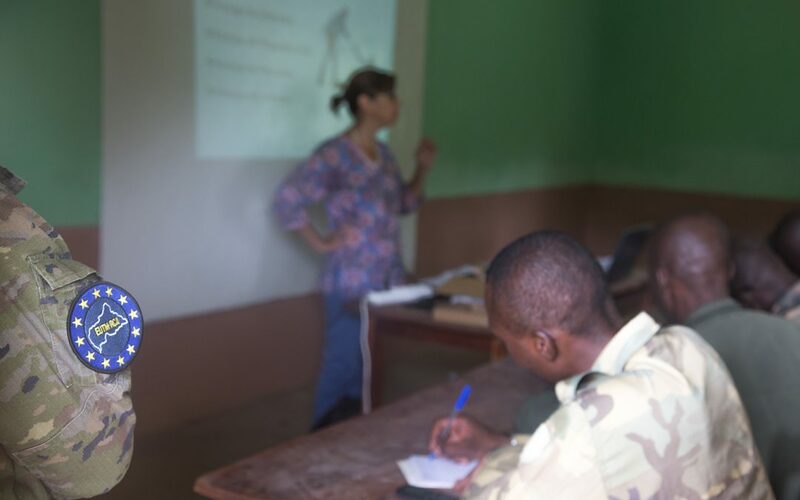 We are currently setting-up the training on international humanitarian law (IHL) and PSV for the Central African armed forces (FACA), in cooperation with the European Union Training Mission (EUTM) in Bangui. 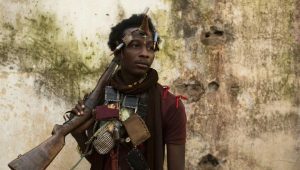 After the eruption of the conflict in CAR in 2013 that saw widespread sexual violence against civilians, the country is undergoing an internationally supervised transition, including the deployment of the MINUSCA and of an EU CSDP military training mission (EUTM RCA). 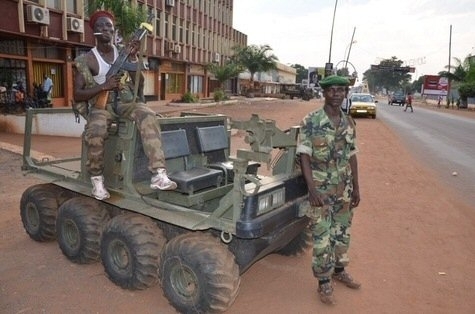 During the crisis, the Central African Armed Forces (FACA) were largely inefficient. The population considers that they failed to protect them and that they participated in the extra-judicial killings, the rapes and looting. In spite of the past misbehaviour, the deployment of FACA would be welcomed as the only symbol of state presence. But for that to be successful, the FACA would need to improve their capacities and especially their behaviour. – designing training material that makes sense to FACA trainees and is adapted to CAR context. The training, which will be integrated in the EUTM official training programme, will include: lectures for Commanders (including Command responsibility) and for troops (mainly based on Do’s and Don’ts), tactical exercises and assessment tools. Beyond peace has been working pro bono on this project for the past year. Thanks to the trust of the UK Embassy in Kinshasa and of the EUTM, Beyond peace will start the pilot project implementation as of July 2017. Follow our news and subscribe to our newsletter for updates. 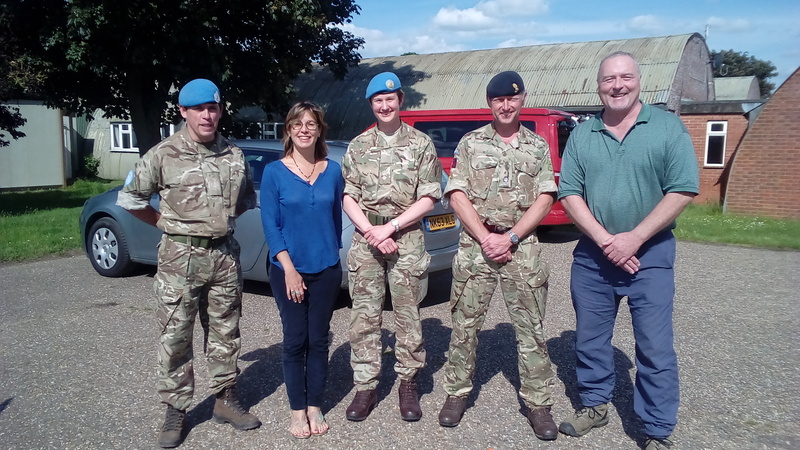 Beyond peace was invited to advise the Op Trenton military pre-deployment exercise for the UK Engineers troops departing to South-Sudan Malakal and Bentiu where they will join the UNMISS. Cynthia Petrigh from Beyond peace has been involved in this beautiful adventure since 2016, where she contributed to the training of first batch deploying to South Sudan. 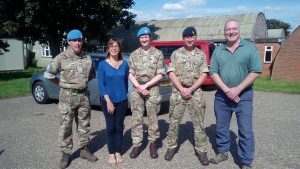 After meeting Commander LCol Hislop in Yorkshire in March, she has just just contributed to the Mission Rehearsal Exercise which took place 29 May – 3 June in Norfolk, UK, for the batch to deploy as of July 2017. We wish good luck for this new batch and keep the good job! No country has reached what Johann Galtung calls « positive peace ». Peace is a long-term objective for any society. A number of steps and actions can however help us move towards a higher level of justice and enjoyment of rights – with a long-term vision for an inclusive and positive peace. Today, we can contribute to diminishing human suffering, and to building the right environment for future societies at peace, by upholding and disseminating the international norms that protect human life and human dignity. 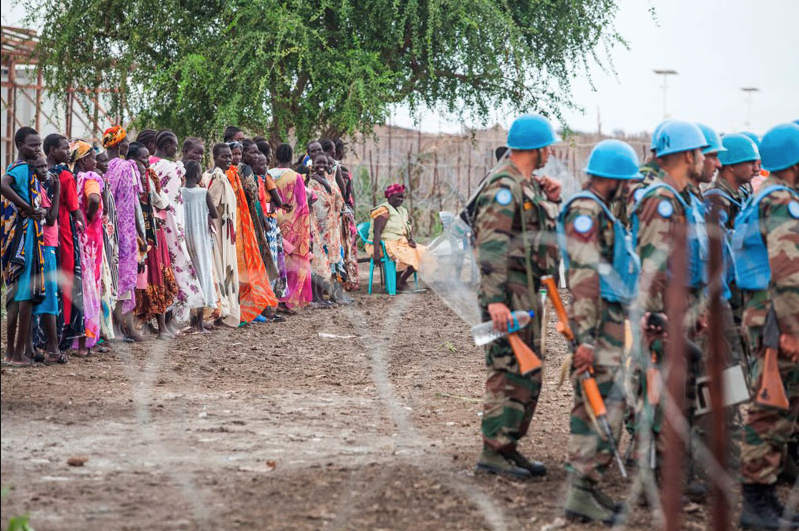 To this effect, we provide training and advisory services to armed forces, peacekeepers and non-state armed groups on International humanitarian law (IHL), prevention of sexual violence and compliance with international norms. In order to put an end to abuse and raise awareness about rights, we provide expertise in monitoring and investigating human rights and IHL violations, gender-based violence and international crimes affecting children. We accompany societies in transition by supporting mediation efforts, dialogue initiatives and women’s participation to peace processes. We share our comparative experience and our field-based evidence in policy and advocacy events and publications. Beyond peace Pte Ltd is a Singapore based company established in 2012. Our Founder and lead consultant Cynthia Petrigh is an experienced international expert in human rights, peace and security. After a career as a humanitarian worker working with refugees and victims of torture (as a Head of Mission for the Danish Refugee Council, the Executive Director of Centre Nassim for the victims of torture; or the Director of the Refugee Law Course at the International Institute of Humanitarian Law in Sanremo), she dedicated her work to addressing the root causes of violence through conflict analysis, conflict resolution, and training of combatants. She shares her vast field experience with governments, NGOs and academia, through conferences, workshops, training events and publications. Beyond peace works on our own projects and accepts short-term and long-term consultancies with governments, the UN, the EU, academia and NGOs. For inquiries on working with Beyond peace, contact us.